I would not be surprised if it is temperature dependent. They love having warm roots and flower a lot better if the sun hits the pot they are in. So the warm grow space would be my guess as to what is triggering the flowering. will stop setting fruit much over 95F or so. I keep my peppers at 22/24 hours and they still pop loads of peppers. They do best outdoors under the sun when it's hot. Yeah, where I am it gets hot as hell and the peppers go crazy. The mind boggles how many peppers you can get off one plant in one season. consider placing the bag on & cutting the branch & taking it out, put in water like, well, cut flowers . you'll get less pollen IME but easy-peasy. I thought about doing that @cannabissequoia just not sure how long it would survive like that. I'll give it an extra week for the sacs to swell a little more then I'll remove the branch. 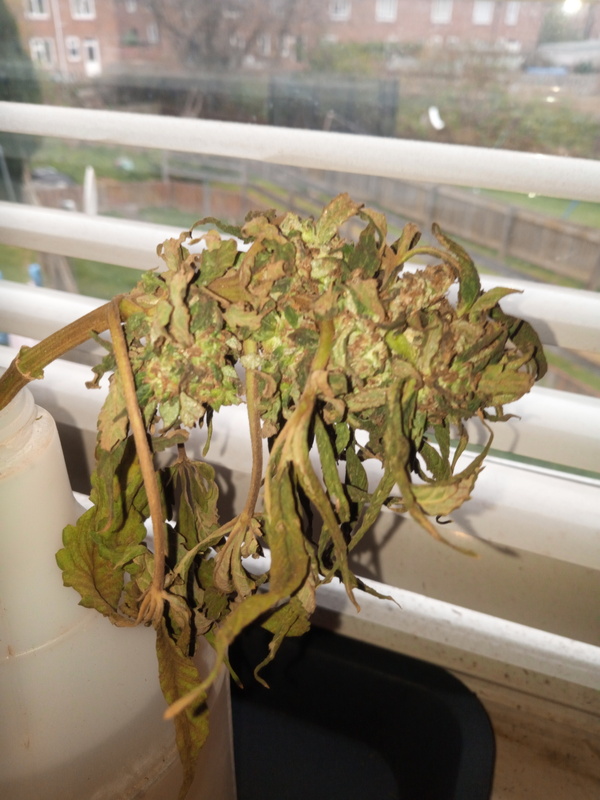 I'd remove the entire plant but I've been extra careful when spraying it so I could still harvest the remaining buds from it. I suppose you could though be really, really careful when moving.....my older son received a comforter for Christmas that came in a nice bag with a zipper that he almost threw out. 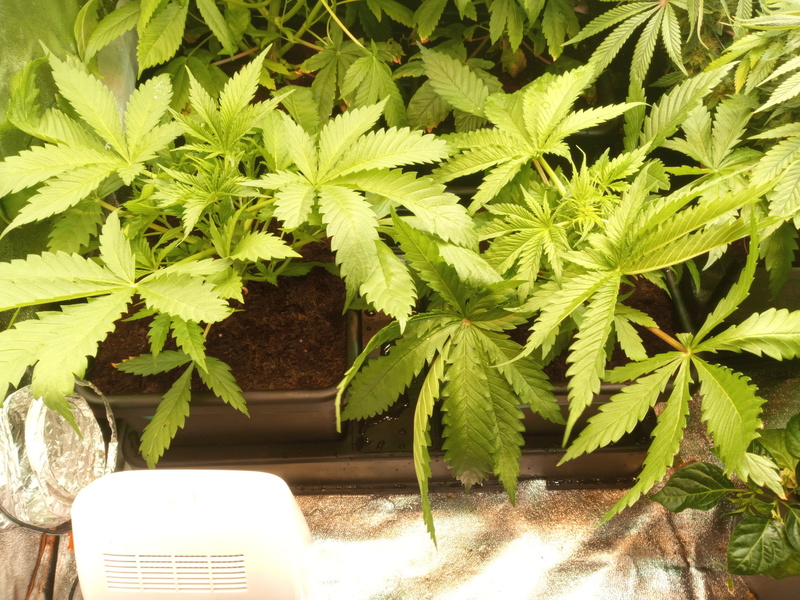 In an instant the light bulb went off in my head that I could use it to separate 2 plants (1 boy and 1 girl) away from the rest of the grow and just spray the bottom of it a couple times a day while pollen is flying. Thanks for responding. I think I'll just remove the entire branch like suggested the end of this week so long as the sacs swell enough. As long as it will continue to thrive for an extra week or so I think it should be enough. The sacs are small and not as many as I'd have liked her to give but something is obviously better than nothing. Well basically the pollinated branch I cut and it sat in weak nutrient solution for a few days but she gave up and dried out. Pulled the sacs off, carefully split and empty inside so In the composter she goes. I'm thinking the CS may not have been strong enough to do a proper job being only 30ppm. Next time I'll generate my own and get the ppm as high as I can. 2 reactor 99 at the back. A cookies Kush fem and blue dream fem at the front. 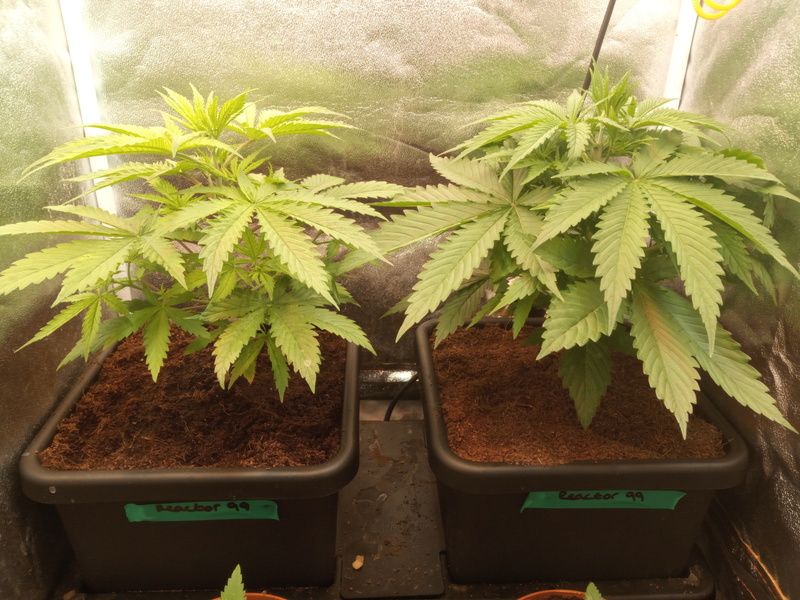 I'll veg the reactor 99s out in small tent until agent k and the older gg fem are harvested. Then move them over. Blue dream and cookies Kush I'll veg out as long as I'm able to. Luckily it's not the entire plant @Meesh. I was really careful when spraying her and I'm confident I had no over spray so I cut the treated branch from her. The remainder of the same plant is absolutely flying. Big fat buds and she still has around 3 weeks left to grow. MrSoul mentions his learnining experience spraying CS somewhere... he says (something like) he wasn't getting a fast enough or full enough conversion so he sprayed more heavily & it flopped ... but at the time I really noted when an old timer says "what do beginners do? they over-do everything" and so he dialed it back and made the Fem CindyXX. 2 of your blueberry x green crack mate. Been under 12/12 for around a week. Any day now and we'll have balls or hairs showing. Skinny thin stalks with huge leaves. They look hella light green, good luck - fingers crossed 🤞u get two females. Gonna keep an eye on this one mate ..
No argument here! 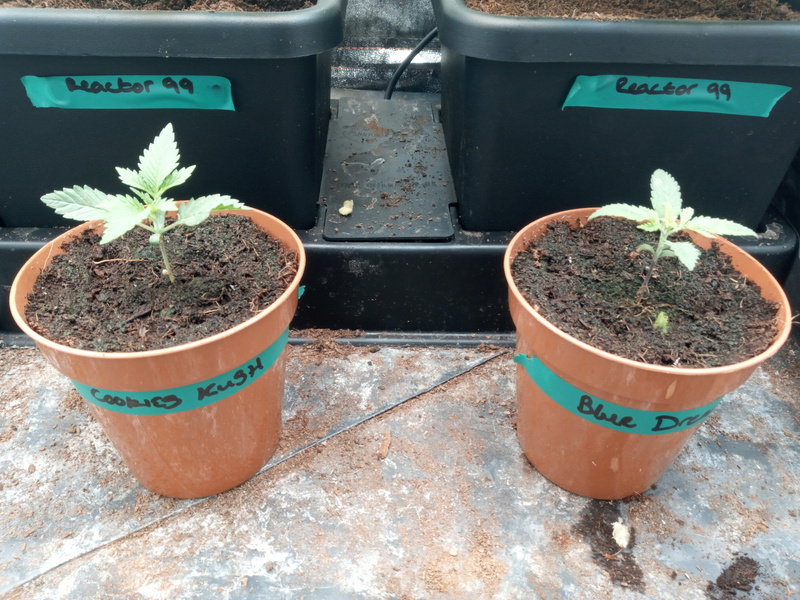 ...was just pondering what variations might come from those parents & seem to recall blueberry being more modest yielding[inexperinece alert], or at least having more lanky, hempy sativa ancestry... ??? 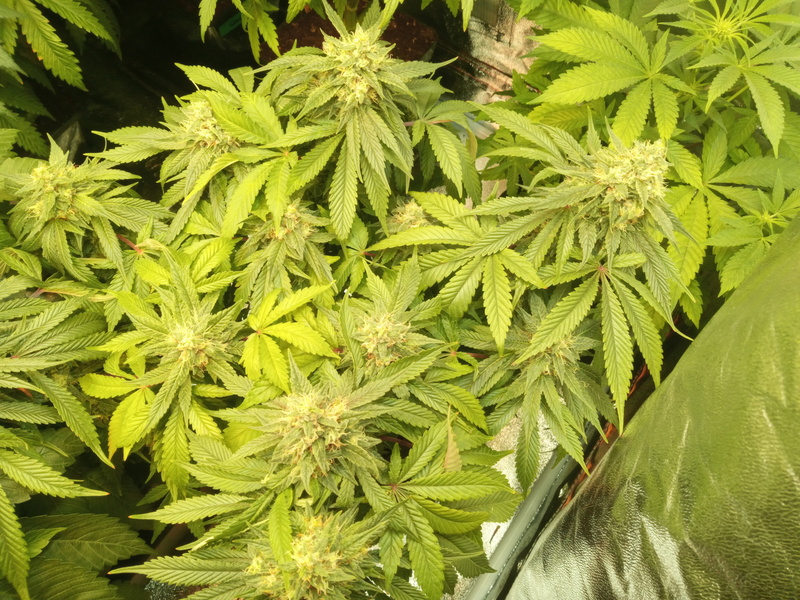 ...so smaller buds on a stretchy plant could be underwhelming. But seriously just nitpicking & typically nuts.